Is the Porsche Panamera a Hatchback? Get behind the wheel of the Porsche Panamera, and be prepared to turn heads on the Los Angeles streets. With a taught roofline that produces a sharp contour, it can’t be denied that this sleek, athletic vehicle has a unique silhouette like no other. However, it is not a hatchback, it is a sedan. When you take on the roads in this carefully crafted work of art, you’ll be commanding attention throughout every twist and turn. This sharp sports car’s appearance is unmistakable, thanks to notable design features such as rounded transitions, powerful muscles, and its defined sculpted sides. New for 2018 is a 116.1 inch wheelbase that’s 1.2 inches longer than that of its predecessor, allowing for an even stronger, bolder look. Each Panamera model comes equipped with eye-catching characteristics, including a light strip on the rear end, slimline three-dimensional LED taillights, and its extending rear spoiler. As you tackle the streets, this Porsche model’s standard 19-inch alloy wheels will take you where you need to be. For greater personalization, you can choose from a variety of stand-out wheel options available in 19, 20, and 21 inches. With 16 different exterior color options, you can match your Panamera to your personality. Whether you prefer a color that’s bright and vivacious, or dark and daring, you’ll be sporting a beautiful hue that’s bound to leave an impression. Are you ready to cruise in a car that exudes sport and beauty? Los Angeles area drivers can make a statement on the streets by taking a spin in one of our new Porsche Panamera models for sale today. 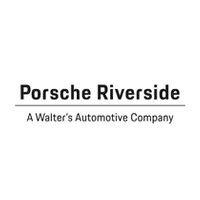 If you’d like more information about the Porsche Panamera and its unique exterior design, please don’t hesitate to contact us at (888) 841-9073. 0 comment(s) so far on Is the Porsche Panamera a Hatchback?